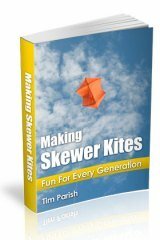 Anyone who's been out flying kites will have a story or 2 to tell. 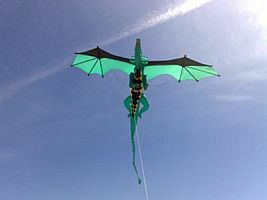 Particularly, it seems, if a favorite kite managed to find it's freedom! 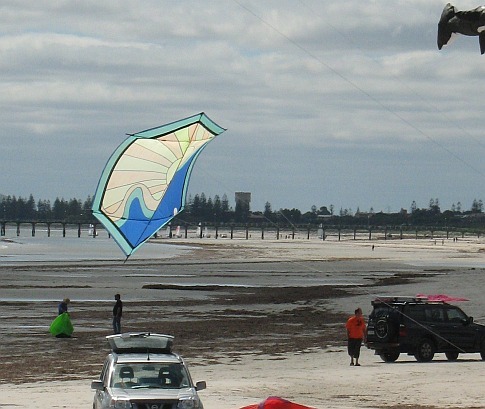 Also, in this age of cheap and convenient digital photography, plenty of good kite imagery has been taken. Some of it ends up on-line, on sites like this one. Not to mention plenty of personal Facebook and Pinterest accounts! Feel like typing something in right now? You can do that in the next section down there on this page. Within 24 hours you'll see your story pop up in the site blog page, which is under the what's new! link in the menu. Near the top of this page. There's no need for 'polished writing' - just rattle on for a few paragraphs and I will take care of any little typos or slips. 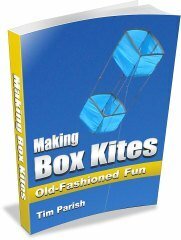 There's a few real gems to be found among the tales of flying kites and photos people have already added to this site. For many of us here, it's usually the last one we've made. But it might also be the last one you've bought. If you've been flying something amazing recently, why not type in a few paragraphs about it here. 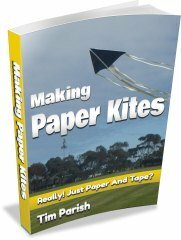 Mention any details you think other kite fanciers might be interested in - you might get some comments! Please enter a short title - what's your story all about? Telling us about your kite building and/or flying is easy to do. Just type! One of those kites that I sought after and was finally able to add to my bag. I do not possess the skill to make something of such caliber. 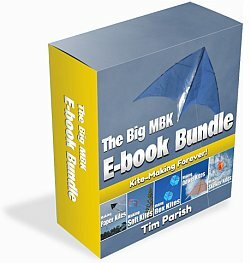 This site has been collecting these real-life kiting stories and photos for some years now. Mainly single-line stuff, since this site reflects my personal preference for flying kites on one line. However, contributions from multi-line fliers are more than welcome! 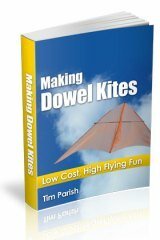 Kite-loss stories! Oh yes, but don't laugh too hard. Something similar just might happen to you one day. You couldn't make this stuff up, honestly. Like the self-destructing dowel-and-plastic light-wind kites tearing up the sky during a much-too-windy day at an Austrian kite festival. And then the last one managed to take out a couple of exquisite (and expensive) retail kites, sending them into the Blue Danube. But you've got to read the whole thing, it's quite a yarn! Or, how about a young lad, many decades ago, managing to lose his box kite into an air intake on a landing military aircraft. I kid you not. Can you top any of this? We're waiting for 'the next great story'. It has to have that ring of truth to it though. All the other single-liner stories, but there are still some nice ones in here. I guess the key-word here is variety. From night-flights to snowy-weather flights into cloud, to high-altitude excursions over sea-water, to Sunday School outings. I don't think any 2 stories here are remotely like each other. A whole range of amateur kite photography on show. Mainly single-surface single-liners - but there are some magnificent exceptions! Many of these photos are just plain spectacular! In most cases, that means physically big kite. For example, there's a monster Butterfly from some enthusiasts in the Czech Republic, Europe. Also, an incredible 3D Dragon from England (see left) and an interesting large design from the Ahmadabad International Kite Festival in India. Drop in here for a truly international selection of kite photos! 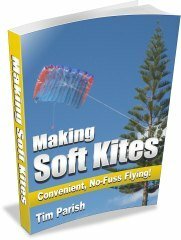 Stunt kite stories is a new category. Designed to collect reports of incidents or other interesting happenings either during a sport kite's flight or perhaps at its abrupt termination! There's not much in there right now. But there's so much sport kite flying going on out there, it's just a matter of time. Maybe 2 or 3 of my regular contributors could help me out here, to get things moving... Thanks in advance! It seems that everyone has their own spin on flying kites to get a different photographic perspective on our surroundings. Some of the results are really intriguing, whether obtained with a featherweight camera and ice-cube shutter release, or the latest concepts in radio-controlled KAP rigs. Tell us all about your own methods and gear, and back it all up by posting some photos! 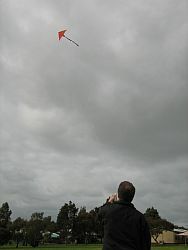 Different people will be keen to read about different aspects - the kite, the KAP rig, the photo subject or even all 3.